or cell phone (206-419-3841) and tell me what you want. 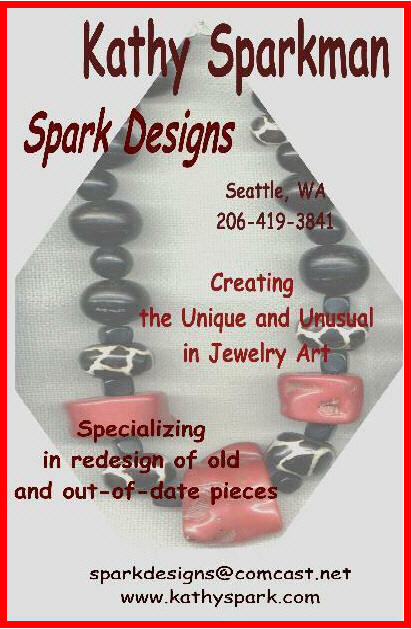 Since all of my designs are one of a kind or very limited editions, I do not sell directly online. I take credit cards (Visa, Mastercard and Discover) through PayPal and am happy to discuss payment by check as well. Shipping is via USPS Priority Mail (usually $5) or Fed Ex (cost depends on location and weight, usually $8-12). 9.5% Sales Tax is charged in WA State.